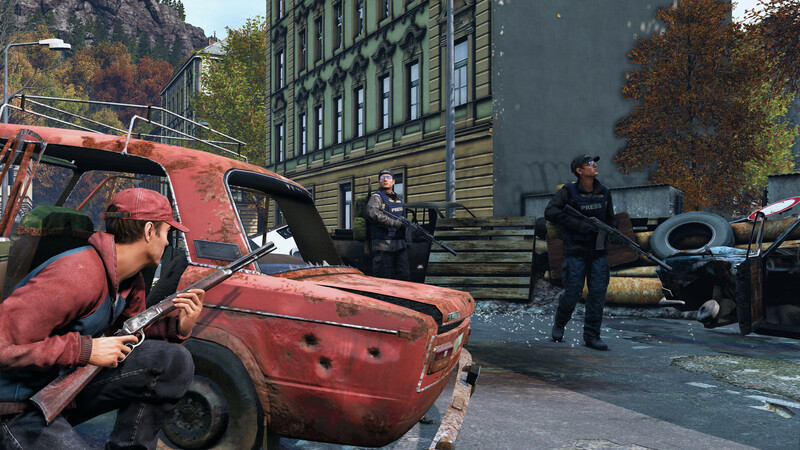 DayZ is an atmospheric game in a time where civilization has ended. From crumbled buildings to burned out cars, there is still hidden beauty in a decaying world. In a game where the main focus is surviving by finding food, ammo and weapons to live to fight another day, there are some who stop to look around and take in their surroundings, admiring the work that was put into creating this game we all play. One of these people is a survivor/player named DrDeSync. Tell us something about yourself. How did you first hear about DayZ? I first heard about DayZ back in June of 2012 from youtube content creator paulsoaresjr. I had never seen a game like it before. For me my experience with anything gaming related was Call of Duty, Minecraft, Mario, etc. Never had I seen a game so simple, yet difficult. I was a big fan of movies like Dawn of the Dead and 28 Days Later, but I never thought a game set in a world like that would work. Nazi Zombies felt like it hit it perfectly as an arcade style shooter, but DayZ beautifully ticked all the boxes you’d want in a zombie survival sandbox. I downloaded a copy of Arma 2 and gave it a try on my laptop and even though I was running at around 12 frames-per-second, I was having the time of life just trying to figure out how to bandage myself! When I heard that Bohemia Interactive were working to create DayZ an official game I knew I needed to get myself a copy. In May of 2014 was when I joined the Pre-Alpha DayZ build, this time on an actual desktop computer (though I was lucky to push over 10 frames-per-second). I started taking screenshots back in early 2016 using Windows 8 Photo Editor to add simple filters, and crop them appropriately to give them a “cinematic” look. The earliest image I can find is here. This was when the Guardians (a group on DUG) were giving a group of survivors a tour of the North East corner of the map. Walk us through some of your process, do you usually have a scene in your mind before you jump in-game? Usually anything I have in mind turns to a waste of time. Some of my best images happened completely by mistake, but turned out to be miracles. My top rated image on Reddit “Keep Your Eyes Peeled”, would never have happened if a random group of people who I came across didn’t kill me. I was in the process of building a set with a Sedan I had found when they approached and killed me to take the vehicle for themselves. I was completely distraught as it had taken me days to get everything needed for the picture, only for it to all be ruined by a couple of randoms. The people who were acting in the image were still willing to help out and find alternatives for the idea of the image and we settled on a street in Novodmitrovsk. They stuck with me until the early hours of the morning until I got what I thought was the best we were going to get. I posted the image to /r/DayZ and went to sleep. When I woke up I found that my post had skyrocketed to number 1 and stayed for almost a day and a half! “Keep your eyes peeled” Click on the image to see the full 4K screenshot. What was your most challenging screenshot so far and why? My most difficult would have to be “Razor Sharp” because I had to make the reflection in the mirror completely by hand using multiple images to piece together the bathrooms reflection. 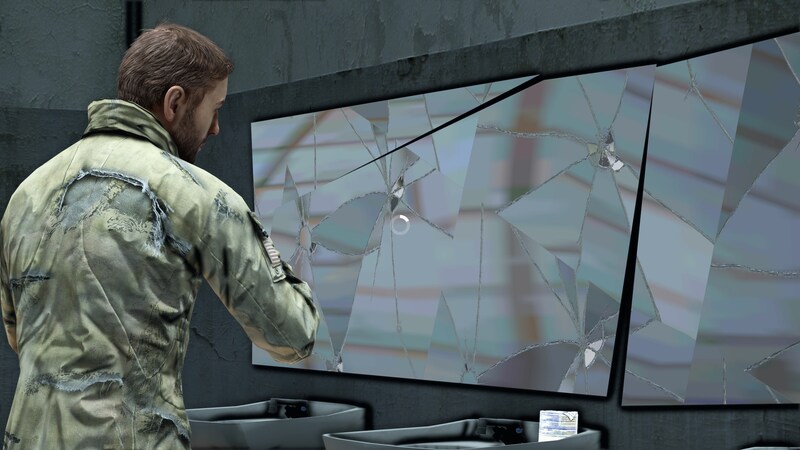 If you go up to a mirror in DayZ this is what you will actually see. To make it even harder you can see the mirror is cracked and splits apart in multiple spots, so one image won’t be enough otherwise the perspective won’t look right. 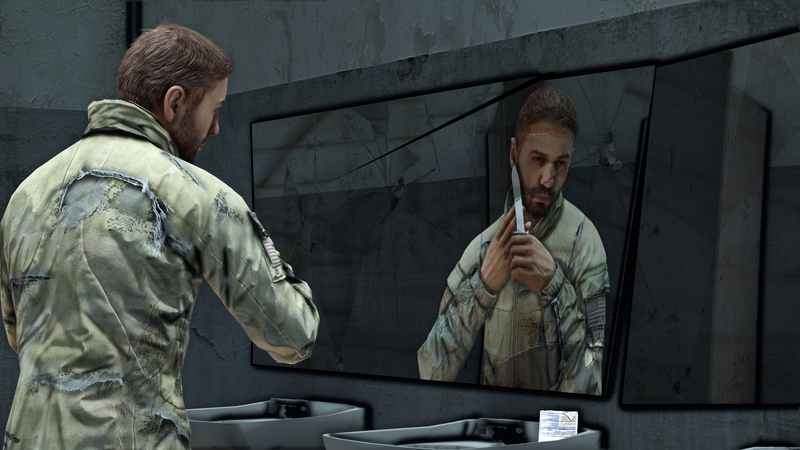 To achieve the right reflection I essentially had to make a panoramic image of the bathroom facing towards the character, while also timing his animation so both the main character and his reflection match. After about an hour in Photoshop manipulating the images and using the cracks in the glass on top of the new mirror to keep it as natural as possible, you have a finished product! “Razor Sharp” – what the image looked like before the reflection was added. Your screenshots are all over the DayZ community. How do you feel when you spot one of your images being used? The first time my image was used by another person was by the Dev Team on one of their status reports, I think when I saw it I was in class at the time browsing my phone when someone sent me a message telling me to check it out. It took everything inside me to not to start freaking out from the excitement of being recognized by the actual team behind DayZ. Now, being featured multiple times on both Status Reports and Twitter, I just feel grateful they decide to choose my content over others. This pushes me to try harder every time I make something new, to always show off what DayZ really is or even could be in the future! Do you enjoy being part of the DayzUnderground media team? It’s probably been the most fun about being apart of DayzUnderground entirely for me. Being able to mix my ideas and creative works with other community members stories, characters and events has been a task to make sure everyone is represented in the best light possible, but amazing nonetheless. My hope is to continue doing this for as long as possible, because it’s what the community deserves! How can people support your content or contact you if they want a screenshot of their own? You can support me on Patreon (patreon.com/drdesync) and you can reach me via Twitter (@DrDeSync) or E-Mail: [email protected]! A special thank you to DrDeSync for taking time to answer these interview questions, and for Merlin for asking them.